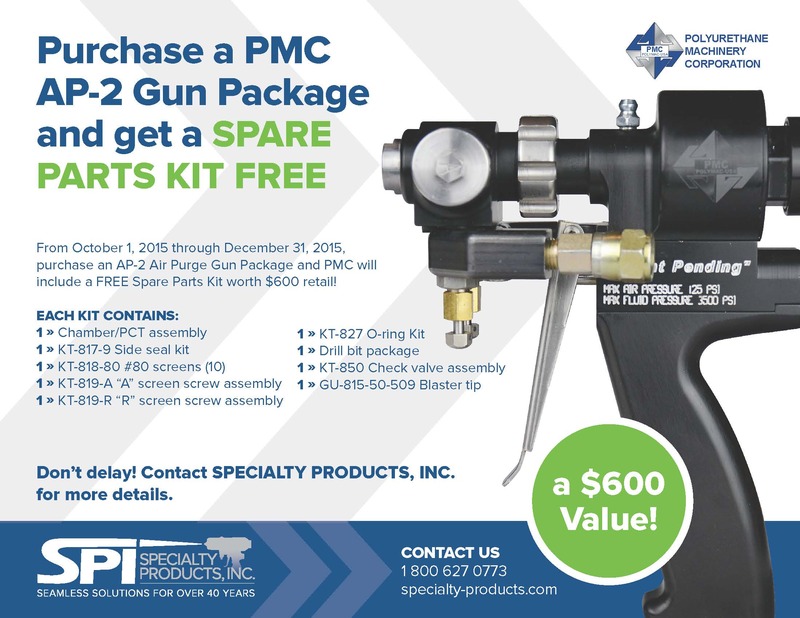 Buy a PMC AP-2 Gun Package and get a SPARE PARTS KIT FREE – Specialty Products, Inc.
include a FREE Spare Parts Kit worth $600 retail! Don’t delay! Contact SPECIALTY PRODUCTS, INC.